The term is borrowed from the urban psychogeography movement. For our purposes Psychogeography is all things related to the geographic areas of Hawaii. In Ridley Scotts Blade Runner, we are shown a dystopian Los Angeles cityscape marked with floating advertisements, fluorescent neon storefront signs and the remnants of a culture that once stood. I feel the same way walking into Ala Moana Center. Flashing signs to grab my attention, the rush of vendors trying to hock their wares at me. Is this a true representation of Hawaiian commerce? Or the amalgamation of out of island investors and property managers who have no grasp on long term local interests? One the original tenants of Ala Moana Center, The Slipper House, is not only a local favorite for over 54 years but has been a destination for visiting tourists. The Slipper House was founded in 1959 by Kiyoto Uejio. The style has evolved over the years from beach footwear to affordable sandals. Kiyoto’s son, Glenn Uejio is a musician who earned an undergraduate and masters degree from the Eastman School of Music in Rochester, New York. A clarinetist, he previously performed with the Honolulu Symphony and taught music and band at Oahu high schools. He joined the store in 1978 after becoming weary of a music career. The Slipper House philosophy’s has always stayed the same throughout the years. The average employee stays nine years, longer than the average worker in retail, where turnover is relatively high. And Uejio said he hasn’t had to advertise for an opening in more than 20 years. 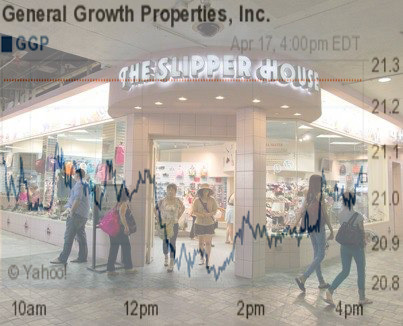 Sadly in last November (2012) General Growth Properties notified the store’s owner, Glenn Uejio, that it was terminating his lease at the end of May. This is a common theme we have been witnessing throughout the years in Hawaii. Returning to our comparison of Blade Runner, will the artificial consciousness of Ala Moana awaken to find itself devoid of the Aloha spirit? Or will Ala Moana Center remain another replica of every other mall one can find on a tropical island. Living in Hawai`i, we are very luck to be a part of a very unique and involved community of local hobbyists that are extremely passionate for their cause. Of course, I’m speaking of the local aquarist scene. I’m not sure if it’s our proximity to the ocean (Father Dagon be praised), or the variety of mixed Asian and other cultures that have formulated this environment, but the fish enthusiast that wishes to find another passionate comrade doesn’t have to look very hard. One such an organization that has been encouraging local aquarium hobbyists to gather together and share their knowledge and experience for a number of years is the Honolulu Aquarium Society. At their meetings every first Friday of the month, members are welcome to join in on educational presentations on aquarium related topics, participate in the society sponsored auction and raffle, and just have an all around good time discussing their favorite fishy things with those of a similar sense of sanity! If you’re interested in becoming a member, or even just in stopping by and seeing what the HAS is all about, follow the link below for more information. And even if you’re not a hybrid child of the sea, feel free to come down and seek me out as well! Mother Hydra be praised! International working party for the documentation and conservation of buildings, sites, and neighborhoods of the modern movement. The Hawaii chapter of Docomomo US is comprised of members of key local architectural, design, preservation and museum professionals from the private and public sectors. The Hawaii chapter aims to promote public education on Modernism in the islands by cataloguing, preserving, restoring and renovating Hawaii’s unique modern architecture and public art; identifying aspects of the modern movement that are applicable to Hawaii’s environment and culture; conducting an oral history project among senior Hawaii architects and developers of our modern environments; and building a model Docomomo chapter that also has a lot of fun. Often times we may have forgotten old designs and structures in Hawaii, like Byron’s Drive Inn, The Old Stadium, or Castle Park. Here is a brief disscusion on a related topic called Psychogeography. Sign up for one of their events. 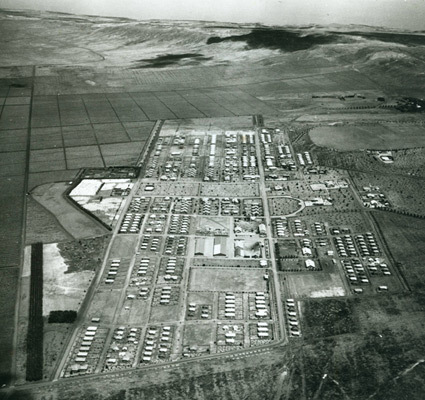 In the old days people from Wahiawa side would meet those from Waianae at Kolekole and attempt to cross over. Each would challenge the other for the right to pass. The losing chief would then have to kneel before the big rock and place his head on it and be killed. His skin was then stripped form the flesh and bones (leaving it raw- Kolekole)*. 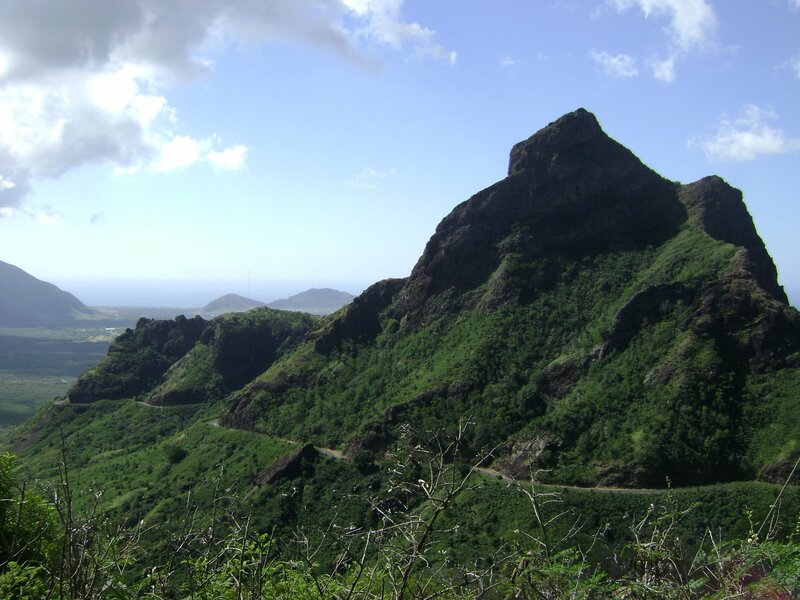 The spoils of the battle and the bones were then brought to the heiau in Halona and offered in sacrifice. Below Kolekole and beyond Kailio is a hair-pin turn known as Hupe Loa for the retainers of the vanquished chief because of the weeping and blowing of noses. * Mrs, Pukii says “holehole” is to strip the flesh. She believes the name Kolekole most likely came because of the battles and the wounds the warriors received, leaving their flesh raw–”kolekole”. The idea of the chief kneeling before a rock to be killed seems modern. 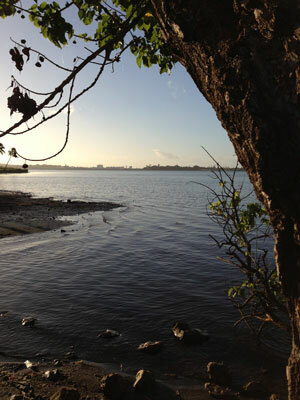 A view of Ford Island from the Waimalu walking trail. The Hawaiian name for Ford Island is Mokuumeume. Probably the first name attached to the island was Marin’s island, for Don Francisco de Paula Y Marin was no doubt its first real owner. Archibald Campbell, who visited it in 1810, wrote that it was an isle “belonging to Manina (Marin), the king’s interpreter, in which he keeps a numerous flocks of sheep and goat, hogs and rabbits. It was about two miles in circumference”. The year 1825 produced a new name. A map based on a survey of Pearl Harbor by Lieut, C.R Maiden in that year carries the name of Rabbit Island on the present Ford Island. The map is published in the Paradise of the Pacific of May, 1925. Dr. Seth Porter Ford was born at Washington, Conn. He arrived in the Hawaiian Islands in 1851 aboard the ship R.B Forbes from Boston. He was a Physician in the United States Marine Hospital. He owned Mokuumeume or Marin’s Island or Rabbit Island and it at last received the name of Dr Ford. Dr Ford died at the age of 48 years on November 1866. His funeral took place on November 25. “The procession, which embraced the Masonic Brotherhood, numbering about sixty, moved to the Nuuanu Cemetary, where Judge Davis read the Masonic burial service.” Governer Dominis was appointed executor of the estate of Dr. Ford. Leave My Deep Fried Shrimp ALONE! 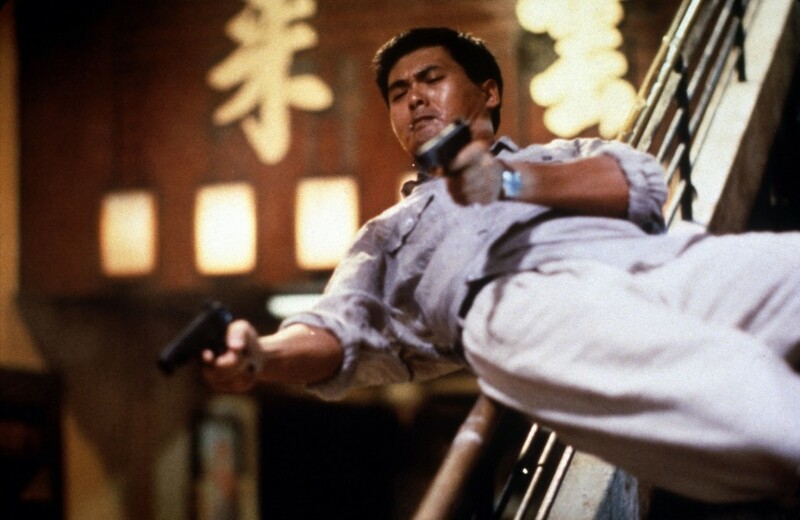 Do you remember the beginning of John Woo’s 1992 Classic Hard Boiled, when the brawl broke out at the Dim Sum restaurant? Choy Yun-Fat brandishing two hand guns and blazing away as someone took his deep fried shrimp? Not exactly the truth. In fact, that was a Tea- House, and there was no dim sum in reach. However, whenever I eat at local dim sum restaurants, such as Legend Seafood Restaurant, Royal Garden Chinese Restaurant, or Happy Days Seafood Restaurant, I feel that my lack of etiquette will sometimes bring about the City on Fire Works rage of the servers. The guide bellow will not save you from torrents of Triad gunfire .Rather think of the guide as preventative maintenance where you can avoid an altercation all together. Your Bullet Proof Vest: Aka The Essential Guide to Dim Sum. 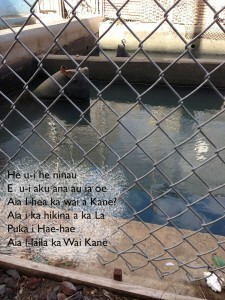 The Waters Of Kane is a Mele from the Island Of Kaui the island which more than any other Hawaiian group retains a tight hold on the mystical and imaginative features that mark the mythology of Polynesia.